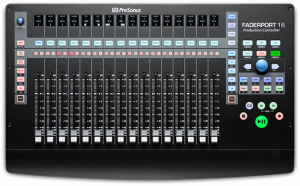 Presonus has made quite a name for itself in both the software and hardware worlds of late. Studio One has become a well respected household name as far as DAW’s are concerned and their accompanying hardware isn’t too shabby either with the Quantum audio interface making waves pretty recently and swiftly followed by it’s sibling, the Quantum 2. The FaderPort line has seen some R&D attention over the past year, evolving from the initial FaderPort, a small single channel motorized fader with transport and DAW controls into the FaderPort 8, a completely redesigned 8 channel unit with a plethora of controls…Well, 8 channels obviously weren’t enough and they have just released the FaderPort 16 – a 16 channel behemoth with all the bells and whistles you could want for mixing and engineering. 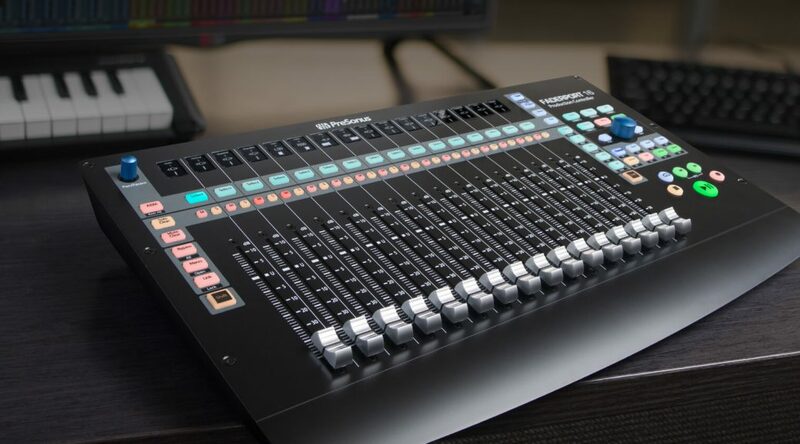 The FaderPort 16 comes equipped with 16 touch-sensitive, 100mm motorized faders, Scribble Strips, 89 buttons covering 104 different functions that allow you to quickly zoom in on audio files for editing, modify plug-in parameters, manage aux mixes and control track levels with the touch of a finger. The Session Navigator provides easy access to 8 mission critical functions, used in conjunction with the large encoder and companion buttons to mix with much greater efficiency than using just a mouse and keyboard. There is one glaring omission though, where is the metering? 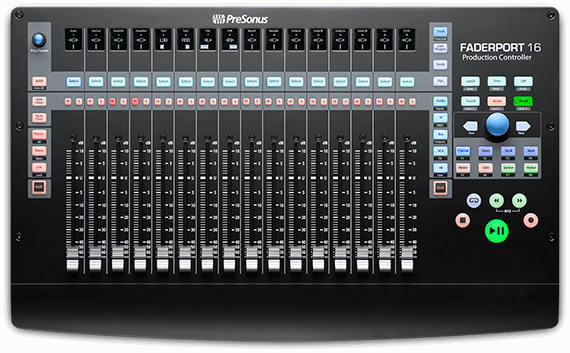 Of course, no Presonus hardware is complete without seriously tight integration with Studio One. You even get a free copy of Studio One 3 Artist with the FaderPort which is a nice addition! It will work with other DAWs on the market too but don’t expect instant plug and play functionality without some configuration steps. Now the FaderPort 16 doesn’t come cheap. At £899 it is on the more expensive side of the spectrum with regards to MIDI controllers but comparing it to lesser devices wouldn’t be fair as I can’t think of any that have the scope of features this has and personally if I had the spare cash to throw down on a DAW controller I would be seriously considering adding this to the studio. The FaderPort 16 is available for pre-order here. SM PRO - uMIX - Wireless mixing just got a lot more affordable!